Bunions are more than unsightly. They can also be painful and make it difficult to walk or wear shoes. Although bunions are notorious for coming back after treatment, your foot doctor in Sugar Land can now provide care that reduces that chance by addressing the underlying issues that contribute to bunion growth. Watch this video to learn more about how foot specialists are beating bunions by treating misalignment issues that are at the root of some cases. Doctors now understand that some bunions are caused by misalignment issues in the feet. Bunion surgery that involves both removal of the bunion and treatment of instability or alignment issues can drastically reduce the chances of bunions returning after removal. 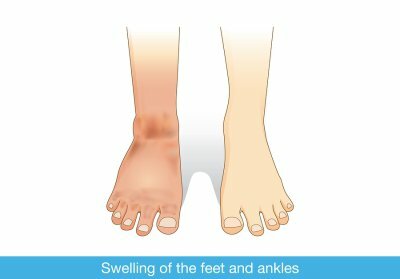 What Causes Foot and Ankle Swelling? Referred to by foot specialists as edema, swelling of the foot and ankle can result from a range of factors. Are you thinking about seeing a podiatrist in Sugar Land about your foot and ankle swelling? If so, then watch this video to learn about the possible causes of this problem. Edema occurs when fluid builds up in the body. If you’re experiencing this symptom, then you should visit a foot doctor or primary care physician for a diagnosis. In the case of edema, the fluid buildup occurs when cells in the body leak fluid into nearby tissues, which causes the area to swell. Edema is more common in individuals who are pregnant, have diabetes, or suffer from blood vessel, heart, liver, and kidney conditions. If you’re experiencing swelling in your feet and ankles, then schedule an appointment with your podiatrist or primary care physician. If you suffer from foot pain and previously underwent surgery to address that pain, only to find that your pain got worse afterwards, you may need to undergo reconstructive surgery to repair the previous mistake. Your foot doctor in Sugar Land can evaluate your foot to determine if an additional surgery could benefit you. One of the common reasons why patients seek reconstructive foot surgery is because screws placed during the initial surgery have since become damaged or loose. It’s also possible that you did not heal properly after your surgery, resulting in additional pain. Some patients suffer from continued pain because too much bone was removed during their first surgery. It’s also possible that the foot surgeon who performed the initial surgery was not experienced enough to do so correctly. The good news is that reconstructive surgery can help to repair the problem that occurred after your first surgery so that you can get relief from your symptoms. Your feet aren’t meant to be in pain, but if they are, you should try to learn the cause. If you’re experiencing foot pain in Sugar Land, schedule an appointment with your podiatrist for a diagnosis and treatment. One cause of foot pain that is frequently treated by foot doctors is flat feet. Watch this video to learn about treatments for this condition. Flat feet occur when your foot arches decrease and come in contact with the ground as you step. You might notice that your footprint leaves a complete foot outline, with no space where the arch would normally be located. Choosing the right footwear is an essential part of treatment for flat feet. Opt for stiff-soled shoes made from a firm material, preferably with laces. Also, speak with your podiatrist about custom orthotic inserts for additional arch support. Your foot doctor in Sugar Land may recommend reconstructive foot surgery if your symptoms are not relieved by non-invasive methods. There are many different kinds of reconstructive foot surgery, and the nature of your procedure depends on the condition your foot doctor is trying to treat. However, there are certain aspects of surgery that are similar for all procedures that can help you understand what to expect. Here is a look at the reconstructive foot and ankle surgery process to help you prepare for your procedure. Before your surgery, your foot doctor will review your condition with you and describe your surgery to you in full. This is a good opportunity to ask any questions you have about the surgery and your recovery. 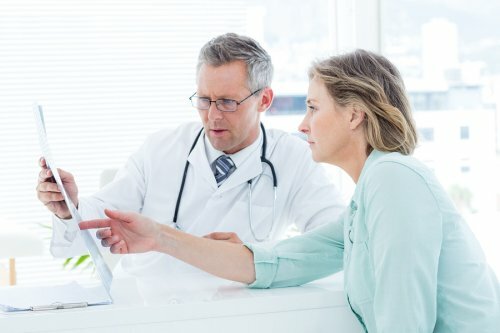 At this time, your foot specialist will also review your medical history and may order lab tests to ensure that you are healthy enough for surgery and don’t have any conditions that could interfere with your recovery. Be sure to discuss all of your medications with your foot doctor, including over-the-counter drugs, like aspirin and ibuprofen. You may need to stop or change the way you take some medicines before surgery. Your doctor will describe the procedure of your surgery to you in full. Depending on the kind of surgery you are having, you may receive general anesthesia or you may receive a local anesthesia or block. Some people go home the same day of their foot surgeries, while other stay in a hospital overnight. Your foot doctor will ensure that you know exactly what to expect on the day of your procedure. The recovery time after your surgery depends on the procedure you had. Most foot surgeries require a period of rest, in which you keep your foot elevated, followed by a transition back to putting pressure on the foot, using crutches, casts, canes, or surgical shoes. You will typically have a series of follow-up appointments with your foot doctor to make sure you are healing as expected, and he or she will tell you when you can return to normal activities. 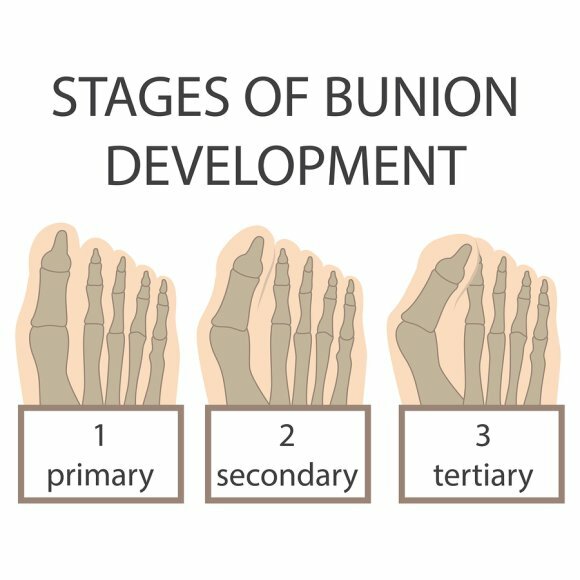 A tailor’s bunion is another name for a bunionette—a bunion that occurs by the base of the little toe, at the fifth metatarsal. Tailor’s bunions are less common than bunions but still require treatment by a foot doctor. If you believe you have a tailor’s bunion, see your foot doctor in Houston for care. In some cases, a tailor’s bunion is the result of inherited problems with your foot structure and cannot be avoided. However, you can reduce your chances of developing a tailor’s bunion by talking to your podiatrist and choosing the right shoes. Avoid shoes that squeeze the front of your foot, such as pointy-toed shoes or shoes that are too small. Instead, select shoes that have a wide toe box. If you do develop a tailor’s bunion, see your foot doctor right away for treatment so you can prevent it from becoming worse. Changing your shoes, using bunion pads, and wearing a toe spacer can help ease your bunion. If your tailor’s bunion is large or is advanced, bunion surgery may be necessary. When you get pregnant, you may anticipate changes like morning sickness and cravings, but you are likely to be unprepared for the way pregnancy can affect your feet. Weight gain and hormone fluctuations can have a dramatic impact on your foot health in Houston , but a foot specialist can help you cope with any symptoms that interfere with your daily life. Here is a look at the way s in which pregnancy may change your feet and when you should see a foot doctor. Experiencing a change in feet size is extremely common during pregnancy and is especially likely during the third trimester, when the hormone relaxin is present. Relaxin helps to prepare your pelvic ligaments for childbirth but also causes your foot ligaments to flatten and stretch. During this time of your pregnancy, you may go up an entire shoe size. Resist the urge to try to cram your feet into shoes that don’t fit, which can exacerbate your swelling and cause discomfort and bunions. Look for shoes with square or round toes and ensure your shoes are wide enough not to squeeze your feet. When you are buying new shoes, shop late in the day when your feet will be at their largest. If you develop bunions, see a foot doctor for treatment. Cramps can occur in the legs, feet, and ankles during pregnancy. These cramps are often the result of getting too much phosphorus in your diet—which can be the result of drinking diet soda—or not getting enough potassium. Try snacking on banana chips to increase your potassium intake, and take a walk to boost your circulation. A hot water bottle can help with lingering pain after intense cramps. Raised hormone levels during pregnancy contribute to swelling as your body hangs on to extra fluid to nourish your growing baby. Whenever possible, elevate your feet above your heart to reduce swelling. Icing your ankles may also help. See your foot doctor for severe swelling, which could be a sign of more serious blood pressure issue called preeclampsia. Arch pain is a common reason people visit a foot and ankle specialist . There are several different potential causes of arch pain, so the first step your foot doctor in Sugar Land will take is making a diagnosis. This video discusses some of the common causes of arch pain. Plantar fasciitis, which is caused by tightness in the plantar fascia along the bottom of the foot, is one of the most common foot problems foot doctors see. This can be avoided by avoiding jumping into a strenuous exercise regime without conditioning. Flat feet—which can be treated by your foot doctor—obesity, and wearing the wrong shoes can also cause arch pain.